When Esme Grace was thirteen years old something catastrophic happened to her family. She had to change her name, cut herself off from the past and start a new life as a new person. She chose the name Alison, because she had gone to school with four girls named Alison, and she believed her choice would help her to remain anonymous. She created a fiction that was close – but not to close – to the past, she chose a career path that would allow her to stay, unnoticed, in the back office, and she lived a quiet life, with no involvements and no entanglements. She was wary when Paul, a successful older man, took an interest in her, but he didn’t talk about his past and he didn’t ask about hers. A relationship – of sorts – developed. A wedding invitation arrived. Paul was invited to the wedding of his closest childhood friend; of course he wanted to go, of course he wanted Alison to go with him. Her problem was that the wedding would be in the same small town where Esme had been living with her family when that family was destroyed. Alison didn’t want to explain why she didn’t want to go, she didn’t want Paul to go without her and have things said, and so she decided that she had to be brave. She told herself that she could cope, that the past would have been forgotten, that nobody would recognise her. She was wrong, on all three counts. 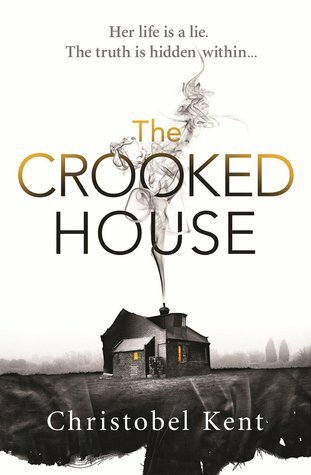 This is a story with many familiar elements – a family destroyed, a lone survivor, an uncovering of what really happened – but Christobel Kent tells this particular story so well; with intelligence and insight, with emotional intensity, that it feels entirely natural to care and to keep turning pages. The setting is evocative: a small town where everyone knows everyone else and where locals would close ranks against outsiders. Maybe there was somebody in the town who had been involved in what had happened, somebody who knew what had happened, somebody who was keeping secrets. Alison wondered about that as she slipped away to try to see places and people she hadn’t seen since she was a child, sometimes hoping and sometimes fearing that she could work out what had happened on that terrible night. She really didn’t know how much she had lost – or supressed – as a result of the trauma. She realised that there may have been things that she hadn’t understood as a child that she would understand as an adult. And though she feared that she would have to face painful truths, that she might be happier not knowing, she knew that she had to press on. I felt for her and I feared for her, I really did. And that says much about the skill with which Christobel Kent drew her character, her situation and her story. I must also praise the atmosphere she created, rich with intrigue and menace, and clever way she suggested possibilities as the story moved forward. There were elements of the story that lacked credibility – unlikely coincidences, unwarranted assumptions, obvious unasked questions – but I’m not going to point out details because the story that plays out – Alison’s story and Esme’s story – worked, and it held me to the very end. Sounds like a good page turner. Yes it is – a well written contemporary piece of crime writing can be a good palate cleanser between other kinds of books. Well I’d say that this is a ‘pick it up if you see it’ rather than a ‘go out and find it book’ but there will be more of the latter along soon I’m sure. Another one added to the library notebook – the list grows every day and I won’t know where to start when I can visit again. Mine too, and I dread to think how long it will be by the end of the TBR dare. Sounds a bit scary for me – but then that’s the mark of a good review, when it makes it clear who the book isn’t for as well as who it’s for. You’re reading a lovely variety of books this year, aren’t you! This sounds interesting and I have seen the book, but not actually read the blurb, etc. your review is just what I needed to read. As you say if I see it next time I’m buying books then great, but I won’t make a special journey for it.